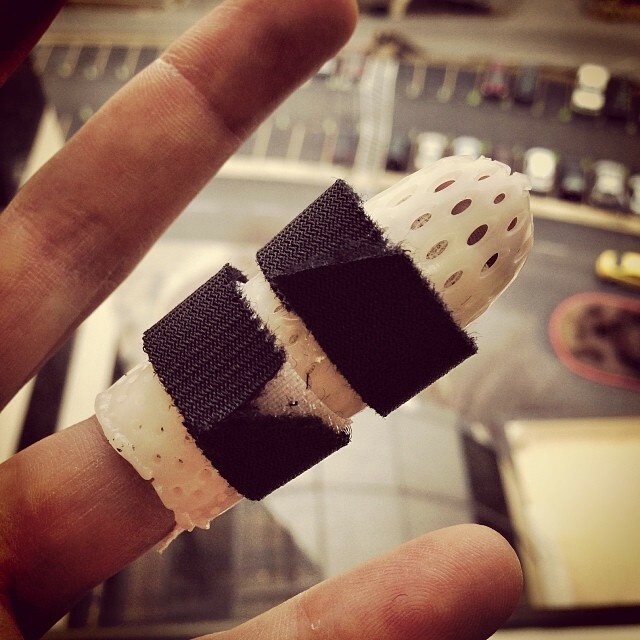 After 6+ weeks the finger is 85% healed and the splint is gone. It is still quite sore and stiff, but my MD said that should get much better over the next couple of weeks! 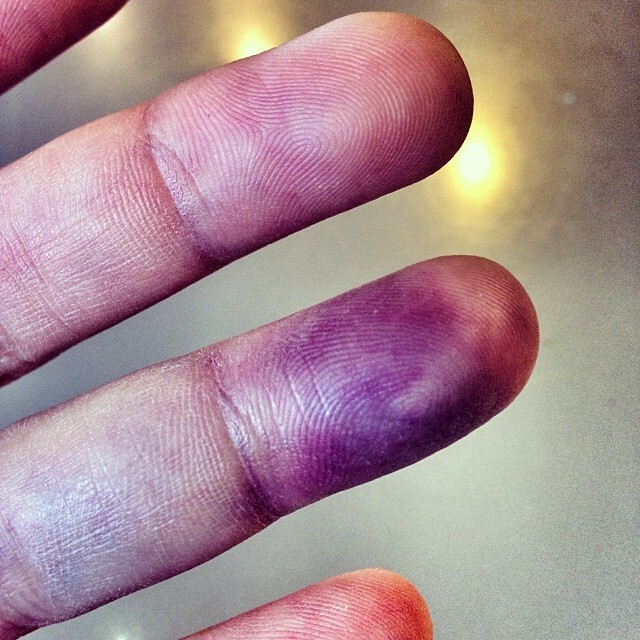 Well…official diagnosis is that my finger is broken in two places, but will not require surgery. The hand specialist said he was shocked I could still move it. Got this nifty little custom splint to keep all the pieces lined up. Souvenir number two from yesterday’s run. 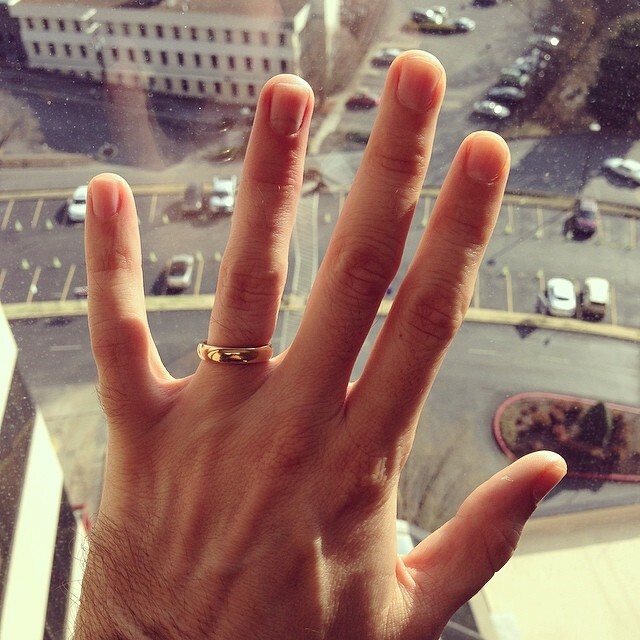 Ended up having to take off my wedding band for the first time in almost 16 1/2 years. 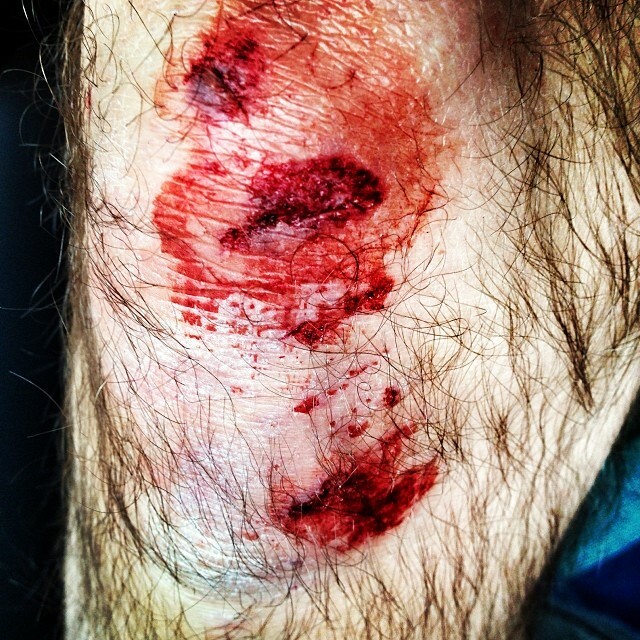 Souvenir from my morning run in the snow and ice. Even with this it was still a good run and my first time to pass 13.1 miles since coming back from my injury. Week 2 of P90X is in the books, and it was so much better than week 1. I’ve still got a long way to go, but this was very encouraging. In week 1, Plyometrics nearly killed me, but this time I had enough energy to attack it and got a great workout. I also made steady gains in all of the resistance workouts, and even in the group yoga (a.k.a. Bodyflow) at the Y. Looking forward to starting week 3 tonight. Last normal week before the first recovery week! In addition to P90X, I also hiked the 4.5-mile red trail in Percy Warner park on Thursday and Saturday. Not quite the workout of running the trails, but it was still good work. I plan on trying to do this at least 2 to 3 times per week while I am recovering from my hip injury. I mentioned in my last post that I was over 20 lbs heavier than I was for my first marathon back in 2009. Well, after 1-week of going back on my training diet I dropped exactly 2 lbs. Small steps! Olivia Is Out Of The Boot!!! 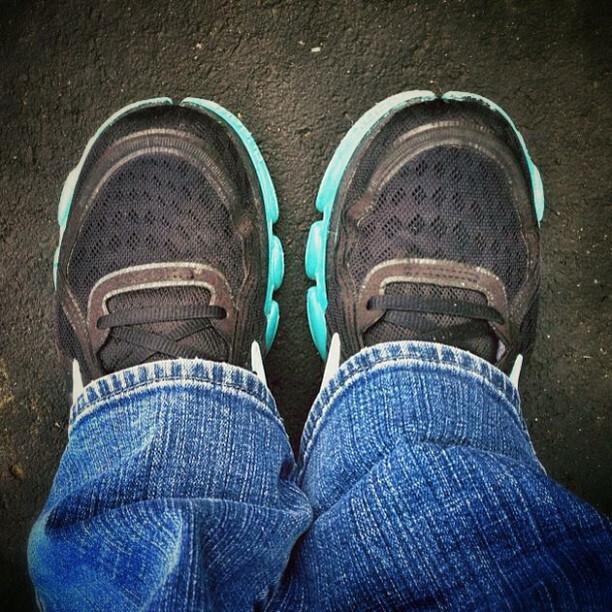 …and wearing matching shoes for the first time in 8 weeks. Thanks to everyone for all of the prayers and encouragement. 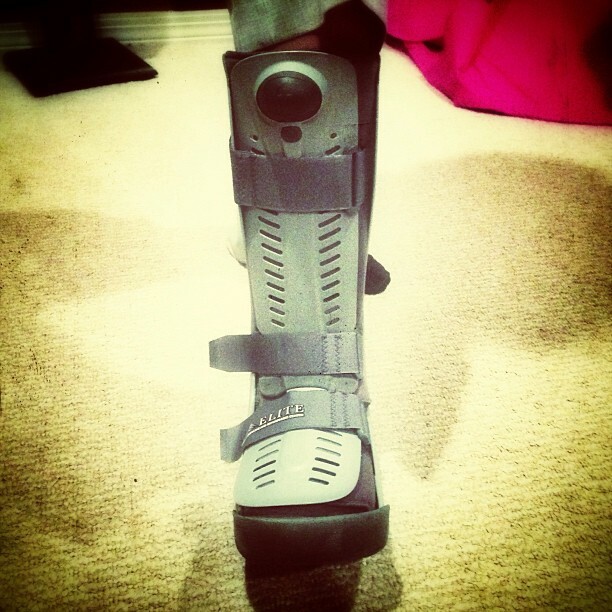 Olivia hates this boot, and I’m praying the doctor will tell her she can be out of it during her 8-week follow-up visit tomorrow. I had the follow-up appointment with my orthopaedist this morning, and he recommended that I have an MRI to definitively see what is going on with my femur. Though he acknowledged that this could be a full-blown stress fracture that doesn’t show up on x-ray, his opinion is that the pain I’m experiencing right now is “Phantom Pain” or “Healing Pain” from the previous stress reaction. He explained that this type of pain is real, but is not caused by a recurrence of the injury. It is instead caused by how the healed injury site interacts with the connected nerves. He said this often feels very similar to the beginning stages of a stress injury. Whatever the case, I’m just glad we’re going forward with the MRI so I can at least have peace-of-mind regarding the path ahead. 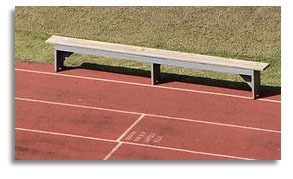 Well, now that I’m back on the bench, time to start doing what is needed to get back off the bench again. To that end I have an appointment with my orthopaedist tomorrow morning to discuss next steps. Prayers for an accurate diagnosis and treatment plan would be appreciated. I’m still holding out hope that I’ll be able to run New York in November. This afternoon I headed back to the pool for a riveting hour of aqua jogging. Every second I spend in the pool just helps me realize how much I miss running, and pushes me to stay disciplined and work hard to get back out on the road. – I repeated this day for the second time since I was not able to complete all the reps on either of my first attempts. It was a struggle in the last set, but I got ’em all done tonight! It’s interesting….I’ve been through this routine start to finish twice, and I’ve never had this much trouble with a single workout. Guess this means I’m getting old.